The game’s presence hints at what Nintendo’s future plans may be. Nintendo has remained cagey on whether or not its Switch console will ever get full Virtual Console functionality (the same functionality that helped systems like the 3DS and Wii U win the hearts of more old school gamers), but some recently made discoveries suggest that the company could already be laying the groundwork for a robust suite of Switch-compatible classic games. A group of modders going under the title of SwitchBrew have discovered that both a functional classic games emulator and a full working version of the NES title Golf are actually squirreled away in the code of every Nintendo Switch console dating back to the platform’s 1.0 release. Funnily enough, NES Golf was disguised under the file name "flog" (golf spelled backwards). The SwitchBrew folks haven’t figured out how or even if there is a way to activate the hidden Golf game, but they did discover that the version of Golf buried in the Switch’s code includes full support for the console’s unique Joy Con controllers. This lends credence to the idea that Nintendo has plans to eventually release Switch ports of classic games. 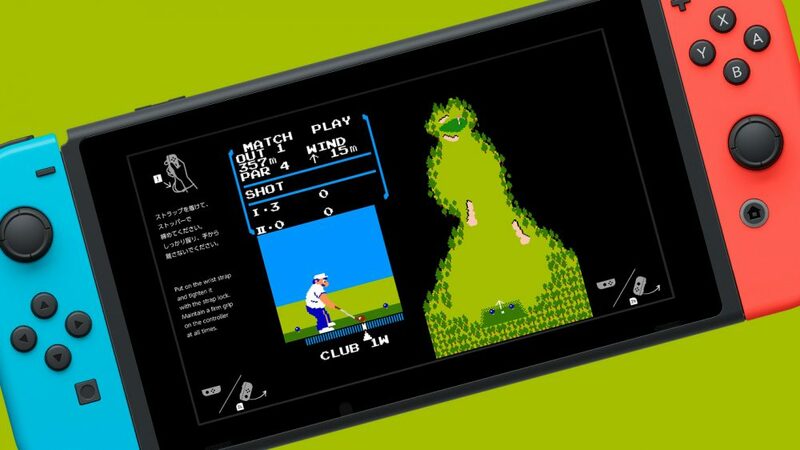 It’s important to note that the mere presence of the Golf game and emulator aren’t enough to confirm that Nintendo will eventually bring classic games to the Switch. Instead, it indicates that Nintendo at least considered the idea at one point during the Switch’s development. The emulator and Golf game could easily be leftover remnants of a project that Nintendo has since scrapped, and we sadly won’t know for sure unless Nintendo decides to address the SwitchBrew finds directly. In the meantime, fans of smaller-scale games can at least take comfort in the knowledge that various indie titles are doing very well on the Switch, giving Nintendo a good reason to not focus solely on current AAA games.